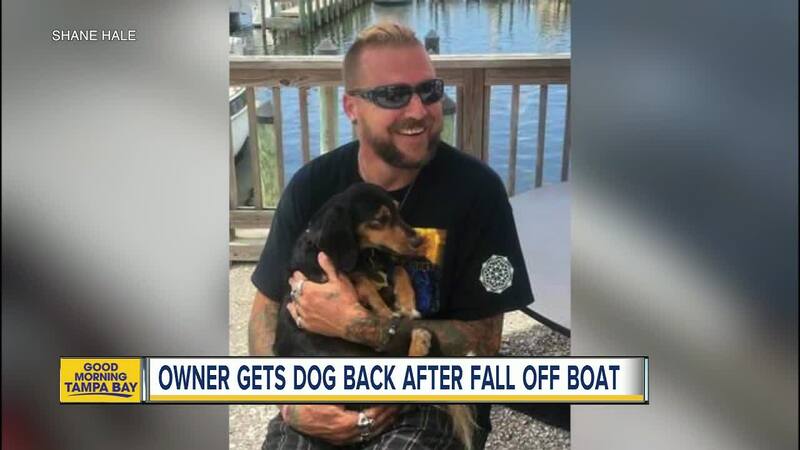 ENGLEWOOD, Fla. (AP) -- A Florida man says he's been reunited with his dog after the animal fell off his sailboat during a storm. News outlets report that Shane Hale and his small dog, Harley, set sail for the Florida Keys on Saturday but got caught in a bad storm that night about 3 miles (5 kilometers) off Englewood, which is north of Fort Myers. Hale says Harley was wearing a life jacket and attached to the boat with a tether, but the dog apparently slipped out of the jacket after falling in the water. Hale posted about the lost dog on social media and learned the next day that Harley had made it to a nearby beach. He says the dog caught a mild case of pneumonia but was otherwise fine.